By the end of the nineteenth century Belgium was enjoying considerable economic success. However, the economic experience has proved significantly less stable in the twentieth century. 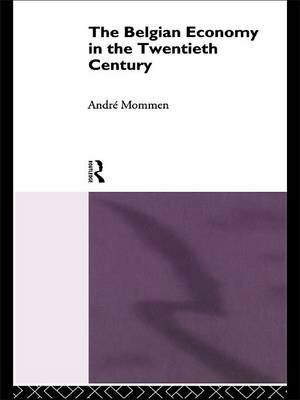 In The Belgian Economy in the Twentieth Century Professor Andre Mommen describes and analyzes the changing fortunes of the Belgian economy throughout this century. He traces the Belgian experience from the state regulation of the inter-war period to its current difficulties. Central to the discussion is the innate problem of Belgian dependence on international trade due to her small domestic market. This volume explains how a small but industrialized European nation succeeded in preserving its competitiveness only to succumb to a devastating debt crisis in the last decade.